With respect to the economic growth, we [U.S.] would love to have Ethiopia’s economic growth. Ethiopia’s one of the ten fastest growing countries in the world. It’s up in the double digits in growth. It’s really quite an extraordinary story. To paraphrase William F. Buckley, I do not want to insult Kerry’s intelligence by suggesting that he really believes what he said about Ethiopia’s economic growth and ”extraordinary story”. I am just not sure he meant what he said. Actually, I am totally confused. Was he being artfully glib, patronizingly humorous, graciously disingenuous or congenially accommodating in his hyperbole? Could he be so woefully uninformed or willfully ignorant about Ethiopia? Could he be engaging in barefaced diplomatic mendacity? If he really believes the canard, it is shocking because it shows a reckless disregard for elementary facts bordering on gullibility. If it is an attempt at humor, it is pretty lame. If he is being disingenuous, no one is amused. If he said it to patronize his hosts, he does great disservice to U.S. foreign policy by lending the credibility of his high office to legitimize a manifest and notorious fraud. Let me say at the outset that I have no intention of “swiftboating” Kerry. I am not criticizing him because he was waltzing with the dictators in Ethiopia on the marbled floors of the African Union Hall. I appreciate the need for diplomatic decorum. Diplomatic language must be used with delicacy. I also bear no malice towards Kerry. I supported and voted for him in the 2004 presidential election. Though I fiercely opposed Susan Rice’s potential nomination to become Secretary of State earlier this year (soon to be National Security Advisor), I raised no objection when Kerry’s name was submitted for Senate confirmation. I was not overly concerned about his foreign policy credentials since he was chairman of the Senate Foreign Relations Committee. I followed his confirmation hearing closely. I am, however, concerned about Kerry’s “factamnesia” (to coin a new word to describe the selective recollection of fantasy facts intentionally or to unwittingly paint a rosy picture of thorny policy issues and problems), loosey-gooseyness with facts in general and a penchant for “doublethink” and “doublespeak” (kerryspeak) on important issues. Kerry has a history of fudging facts which troubles me in light of his statements at the AU press conference. For instance, in October 2002, Senator Kerry said he voted to give President Bush authority to use force against Saddam Hussein because he “believed that a deadly arsenal of weapons of mass destruction in his hands is a real and grave threat to our security.” In February 2003, he said, “If you don’t believe…Saddam Hussein is a threat with nuclear weapons, then you shouldn’t vote for me.” (I did not believe Saddam Hussein had weapons of mass destruction but voted for Kerry anyway.) In March 2004, Kerry said “I actually did vote for the $87 billion [for Iraq war] before I voted against it. …” (Should I say I actually did vote for Kerry before experiencing pangs of remorse for voting for him?) In September 2004, Kerry branded the Iraq war, “the wrong war in the wrong place at the wrong time”. What really concerns me about Kerry as America’s diplomat-in-chief particularly in the human rights area is the same concern many of those closest to him had during the 2004 presidential election. Kerry has a penchant for being namby pamby on critical policy issues. During the second presidential debate in 2004, Kerry was asked by ABC news moderator Charles Gibson, “Senator Kerry, after talking with several co-workers and family and friends, I asked the ones who said they were not voting for you, “Why?” They said that you were too wishy-washy. Do you have a reply for them?” (I voted for Kerry despite the same misgivings.) Now that Kerry is America’s chief diplomat, I am worried about what a “wishy washy” Secretary of State could mean for African human rights. I am not suggesting that Kerry follow Meles’ prescription to “easily close the loopholes and continue to lie” about Ethiopia’s “extraordinary story”. (It is a boldfaced lie to say the Reports on Human Rights Practices in Ethiopia are “lies, lies and implausible lies”.) Kerry is an honorable man and incapable of such chicanery. The fact of the matter is that many in the Western media, donors, loaners and diplomats know that the self-serving inflated double-digit statistics of economic growth in Ethiopia are pure fabrications generated from cooked books. For instance, in 2010, Meles Zenawi forecasted an 11 percent growth in 2011 and sanguinely opined that a 14.9 percent economic growth for Ethiopia over the next five years is “not unimaginable”. In 2011, the International Monetary Fund (IMF) artfully disagreed concluding, “Strong growth [in Ethiopia] has continued in 2010/11 that the mission estimates at 7.5 percent (compared to an official estimate of 11.4 percent)…. The mission sees lower growth for 2011/12, at about 6 percent, on account of high inflation, restrictions on private bank lending, and a more difficult business environment (parentheses original).” The World Bank similarly concluded that year “Ethiopia’s dependence on foreign capital to finance budget deficits and a five-year investment plan is unsustainable…” On June 9, 2011, deputy prime minister Hailemariam Desalegn, offered firm assurances that “economic expansion won’t drop below 9 percent in the fiscal year to July 7, 2012, from 11.4 percent this year.” For 2012, the IMF registered economic growth for Ethiopia at 5.0 percent, and for 2013 its projection is 5.5 percent. For 2017, the IMF estimates 6.5 percent economic growth for Ethiopia (see p. 197 at this link). Simply stated, the claim about double-digit economic growth in Ethiopia is not only preposterous and a colossal insult to our intelligence, it is also a BIG BIG LIE! Does Kerry care about facts? I am really perplexed. When Kerry talks about Ethiopia as “one of the ten fastest growing countries in the world” with “double digit growth” and swoons at its “extraordinary story”, is he also aware of the dark side of that “extraordinary story”? For instance, is Kerry aware that in 2010, the Oxford Human Development Index ranked Ethiopia as second poorest country on the planet? Is he aware that in 2011, Global Financial Integrity reported,“ Ethiopia lost $11.7 billion to outflows of ill-gotten gains between 2000 and 2009” and “in 2009, illicit money leaving the country totaled $3.26 billion.” Is Kerry aware Ethiopia is Africa’s largest recipient of foreign aid? A report issued by the Ethiopian “Ministry of Finance and Economic Development” in January 2012 showed the country shouldered crushing foreign debt in excess of USD$ 16 billion. Is he aware of this fact in his role as the raconteur of Ethiopia’s “extraordinary story”? Is Kerry aware every single year tens of millions of Ethiopians receive emergency food aid or face starvation and famine? Is Kerry aware that the Inspector General of his State Department concluded in 2010 that there is no way to determine the scope of fraud, waste and abuse of American aid tax dollars in Ethiopia? Is Kerry aware that in 2013, the World Bank released its 448-page report entitled “Diagnosing Corruption in Ethiopia” documenting corruption of epic proportions? 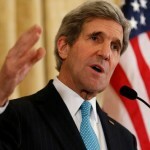 It is true that “everyone is entitled to his/her own opinion, but not to his/her own facts.” A high level policy maker like Kerry is entitled to his opinion but he is not entitled to cherry pick facts and embellish them with hyperbole in making official statements that are reasonably likely to mislead the American people. He is not entitled to distort facts to present only one side of a foreign policy issue or paint a rosy picture for Africa’s most corrupt leaders without talking about the thorns on that rosy story. Kerry is not entitled to put out to the American people half-truths, discredited hyperboles and tall tales to defend a collaborating dictatorship. Kerry is not entitled to propagate and perpetuate a BIG LIE, a manifest hoax, misinformation and disinformation to humanize the inhuman face of a bloodthirsty regime in Ethiopia from his exalted bully pulpit. 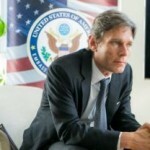 Does Kerry really care about U.S. human rights in Ethiopia, Africa? 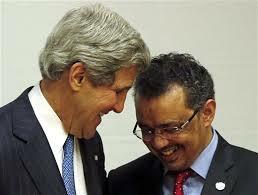 I am also bewildered by Kerry’s exuberance and morbid fascination with Ethiopia’s “extraordinary story”. He says the U.S. “would love to have Ethiopia’s economic growth.” Really? Ethiopia “achieved” its stratospheric economic growth following the “China Model”, NOT the “Washington Consensus [neoliberal] Model” (which demands fiscal discipline (limiting budget deficits), increasing foreign direct investments, privatization, deregulation, diminished role for the state”). If the “China Model” produced an “extraordinary story” in Ethiopia, it is because that story was written by a brutal one-party system that has a chokehold on all state institutions including the civil service and the armed and security forces and rules by instituting a vast system of controls and censorship. Meles, the arch foe of “neoliberalism” in Africa said “neoliberalism” is a death trap for Ethiopia and the continent. In a 2012 article, Meles declared “the neo-liberal paradigm is a dead end incapable of bringing about the African renaissance, and that a fundamental shift in paradigm is required to effect a revival.” In a 51-page monograph, he expounded on his argument for the consignment of the “neoliberal paradigm” to the dustbin of history and its replacement by the economics of the “developmental state” (“China Model”). When Kerry wistfully yearns for Ethiopia’s double-digit growth, is he openly advocating the importation of the “China Model” into America? Given Ethiopia’s “extraordinary story”, is Kerry openly endorsing the “China Model” for Ethiopia and the rest of Africa to produce even more “extraordinary stories”? The fact of the matter is that the “China Model” in Africa is a demonstration not of the success of African economies but China’s economic conquest of Africa and the triumph of praetorian klepto-capitalism – a form of militarized capitalism in which African dictators and their cronies maintain a stranglehold on the state apparatus and have privatized the economy for their personal use. The dictators in Ethiopia, Uganda, Rwanda, Zimbabwe, Equatorial Guinea, etc. rule by coercion and their coercive power derives almost exclusively from their control and manipulation of the military, police and security forces, party apparatuses and bloated bureaucracies which they use for political patronage. They have successfully eliminated rival political parties, civil society institutions and the independent press. The “China Model” or the “developmental state” has become the ultimate smokescreen for African Dictators, Inc. It has provided a plausible justification for circumventing transparent and accountable governance, competitive, free and fair elections and suppression of free speech and the press. Simply stated, the “China Model” in Africa is a huge hoax perpetrated on the people with the aim of imposing absolute control and exacting total political obedience while justifying brutal suppression of all dissent and maximizing the ruling class’ kleptocratic monopoly over the economy. In my opinion, it is downright unpatriotic for Kerry to confer any legitimacy on a watered-down, kinder and gentler reinvention of klepto-communism in Ethiopia. Ethiopia is touting stratospheric economic growth driven by exports (including land giveaways to multinational agro-businesses) and sustained by handouts and crushing debt loans to finance infrastructure projects and build shiny buildings in urban areas that lack the most basic sewage facilities. Does Kerry really believe Ethiopia could continue with its “extraordinary story” by having state-controlled banks printing money? Not long ago, in Zimbabwe, China’s “biggest and arguably most important trade and diplomatic partner in Africa”, a USD$5 bill was worth a 100 trillionZimbabwean dollars. Does Kerry believe such reckless economic planning is sustainable for Ethiopia which is expected to treble its population to 278 million in less than 40 years according to U.S. Census estimates? Whatever happened to President Obama’s “New Alliance”? In May 2012, President Obama invited the leaders of Ghana, Tanzania, Benin to a Summit for a New Alliance for Food Security and Nutrition to spark a Green Revolution and achieve “sustained and inclusive agricultural growth and raise 50 million people out of poverty over the next 10 years by aligning the commitments of Africa’s leadership to drive effective country plans and policies for food security.” American multinational giants including Cargill, Dupont, Monsanto, Kraft, and others signed a “Private Sector Declaration of Support for African Agricultural Development”. Kerry did not even mention a word about it. Is the “New Alliance” dead like “neoliberalism”? I do not think President Obama and Secretary of State Kerry are on the same page on African issues. President Obama said Green Revolution first. Kerry said in his press conference that “our private sector businesses need to focus on Ethiopia and recognize the opportunities that are here.” Is it going to be a Green Revolution or a Trade Revolution? I believe expecting to “strengthen the trade and investment relationships between the U.S. and Ethiopia” under the “China Model” is like trying to fit a square peg in a round hole. The next four years for human rights in Africa under Kerry look pretty scary to me. At the AU Summit, I hoped to hear an announcement or a statement from Kerry that points to some meaningful shift in U.S. human rights policy in Ethiopia. I expected to hear a little bit of the usual babble about “history is on the side of brave Africans.” Nothing doing. Under Kerry, it seems human rights in Ethiopia and Africa have been sacrificed at the altar of political convenience and the “global war on terror.” That is why Kerry is downplaying and soft-pedaling human rights in Ethiopia. 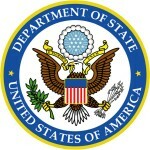 It is manifest to me that the U.S. is willing to turn a blind eye, deaf ears and muted lips to restrictions on civil society, theft of elections, repression of dissent and opposition politics, suppression of free expression, press and the Internet and the blossoming of corruption in Ethiopia. 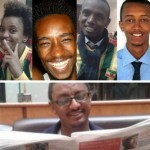 When you visited Ethiopia last week, did you “work for the release of jailed scholars, activists, and opposition party leaders such as” Eskinder Nega, Reeyot Alemu, Woubshet Taye, Aragie, Olbana Lelisa, Bekele Gerba, Abubekar Ahmed, Ahmedin Jebel, Ahmed Mustafa, Kamil Shemsu and so many others? 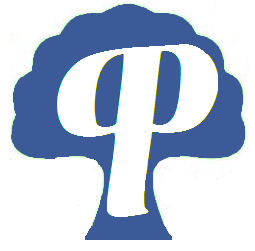 Posted by cybereth on Jun 6 2013. Filed under News, Views and Opinions. You can follow any responses to this entry through the RSS 2.0. Both comments and pings are currently closed.